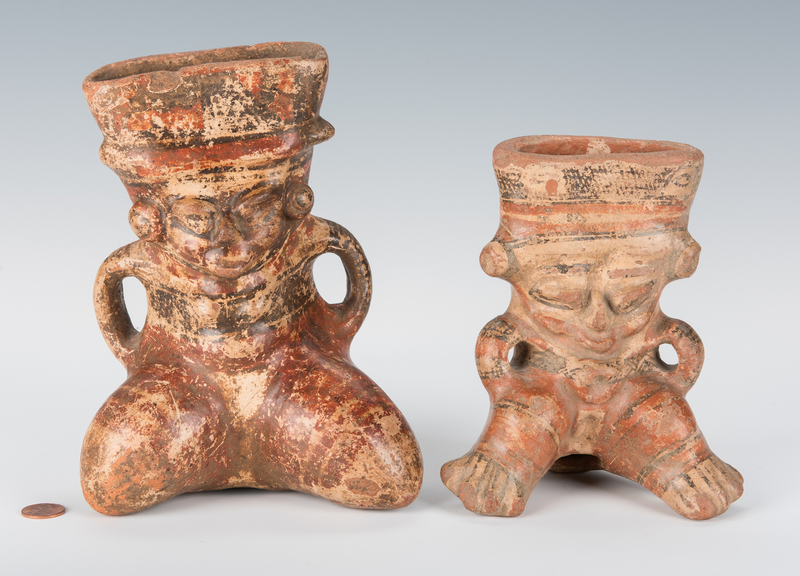 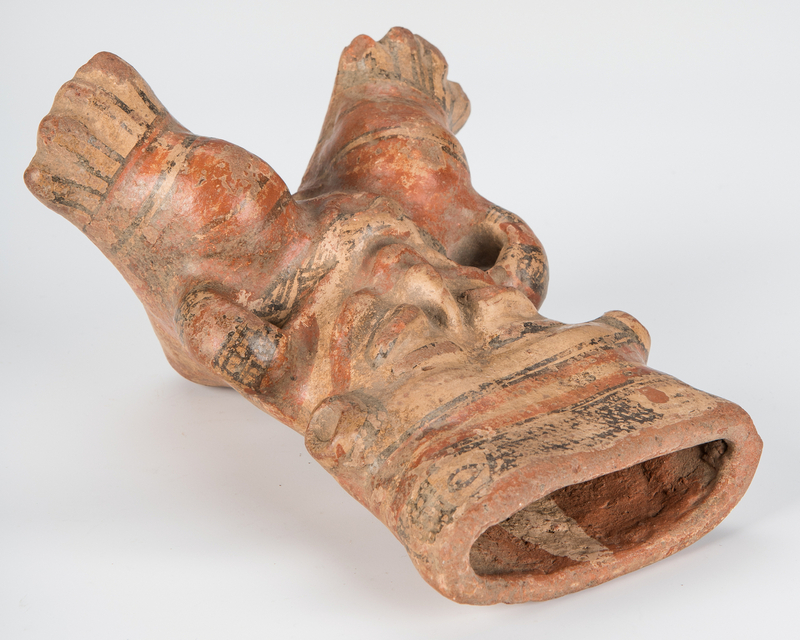 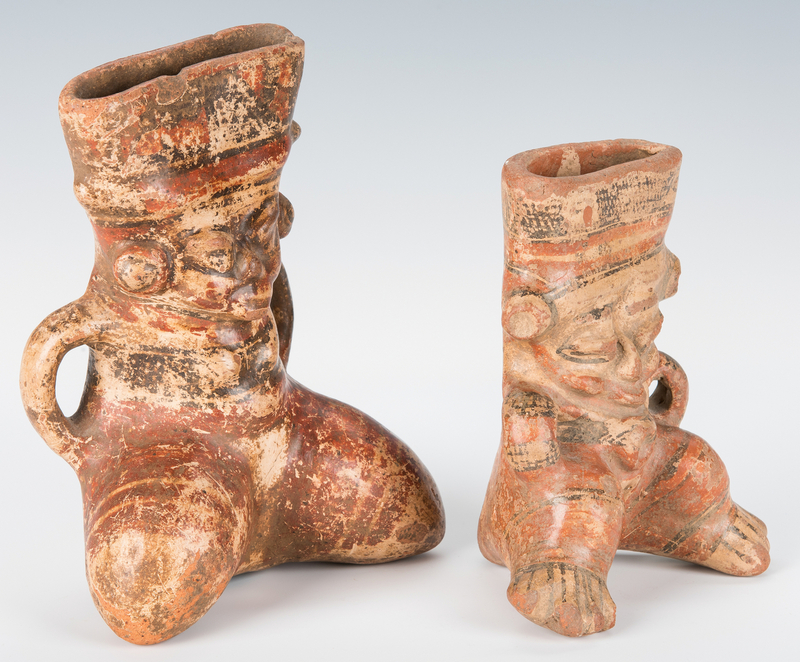 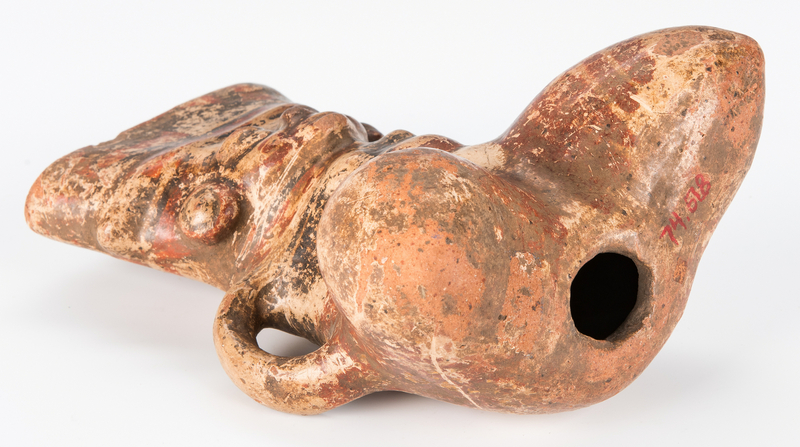 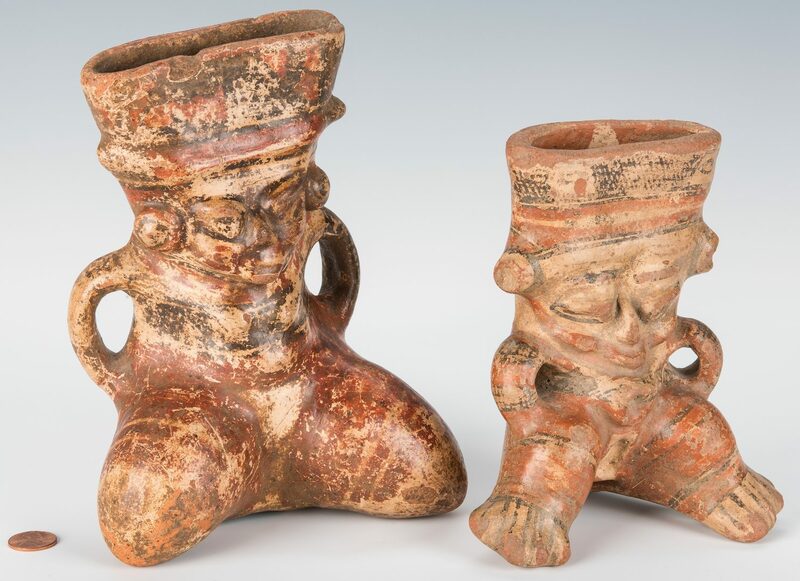 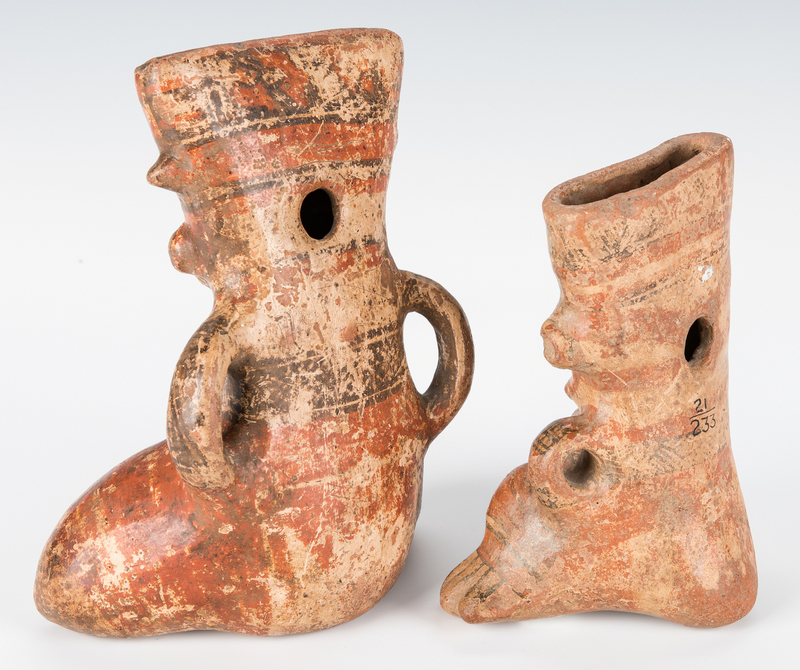 2 Pre-Columbian figural pottery pieces. 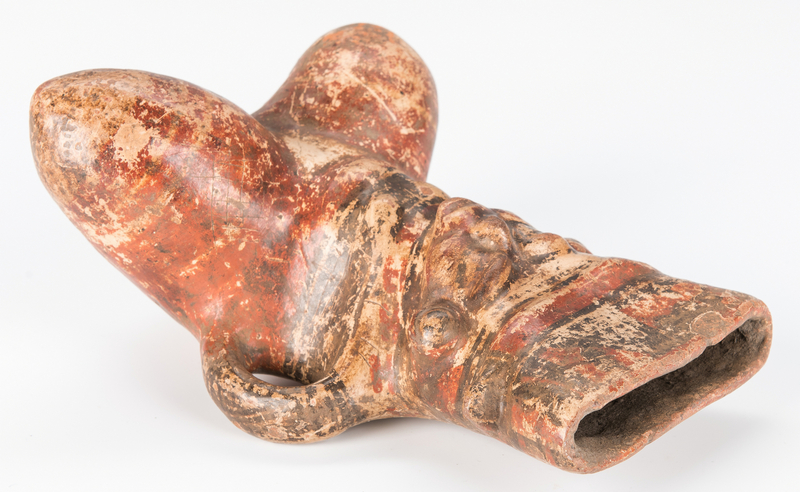 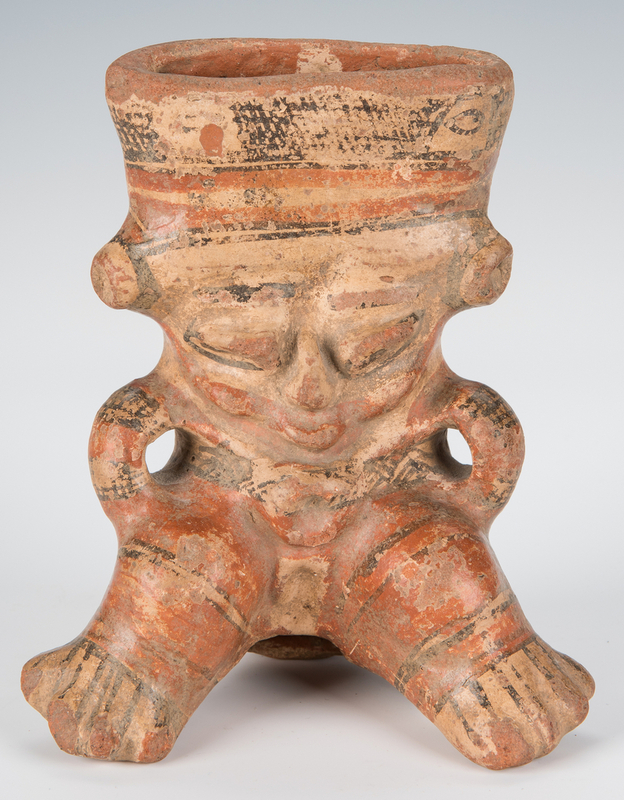 1st item: Nicaraguan/Managua polychrome earthenware female figurine depicted seated, 6 1/4" H x 5 1/4" W. Circa AD 800-1200. 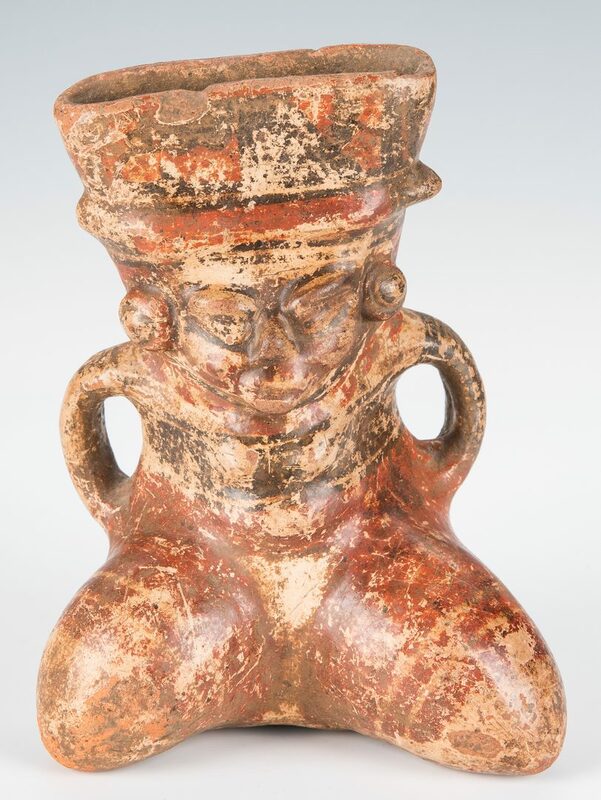 2nd item: Costa Rican/Muneka, Nicoya region polychrome earthenware female figurine depicted seated, 8" H x 6" W. Circa AD 800-1200. Provenance: Both pieces deacessioned by the Mint Museum of Craft & Design in Charlotte, NC, and sold at auction on June 12, 2004. 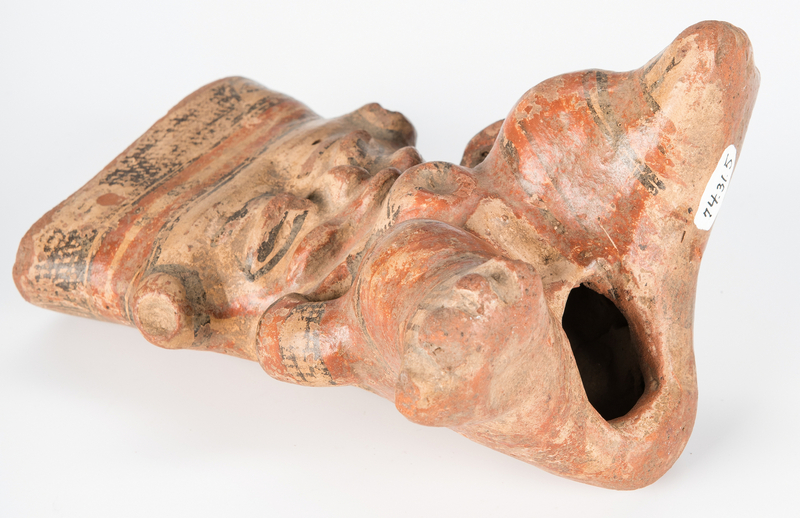 They were originally donated to the museum's permanent collection in 1974. 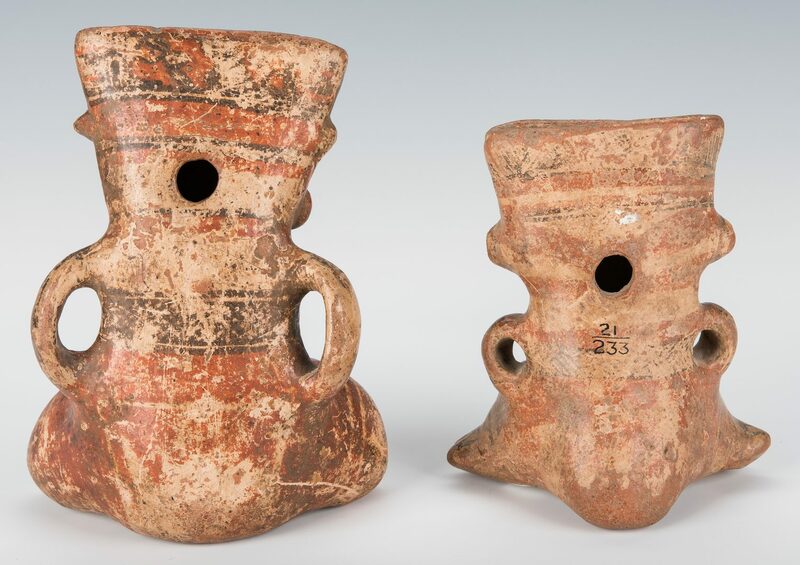 CONDITION: Both pieces with wear to paint and losses consistent with age.